CCOB’s facilities are available for rental. 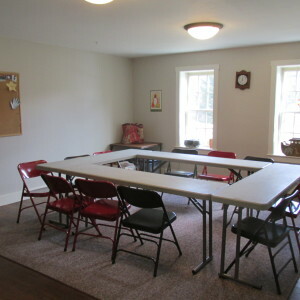 Local organizations are welcome to use the Parish House for their meetings, classes, and other functions. 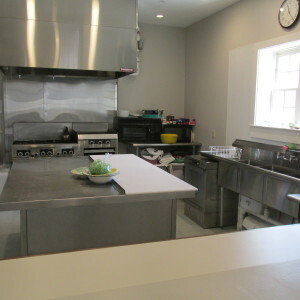 The Russell Parish House is a new facility, with 3 rooms available for rental. 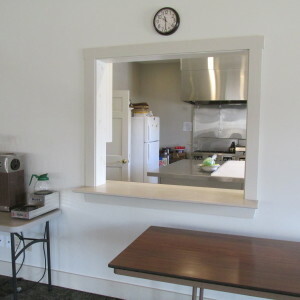 Upstairs the Fellowship Hall seats 88 and has a complete commercial kitchen. 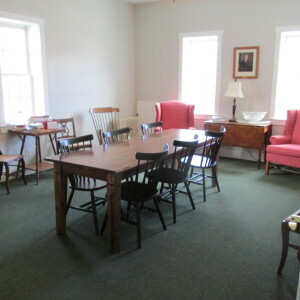 Also upstairs, the Library has a conference table for small meetings. 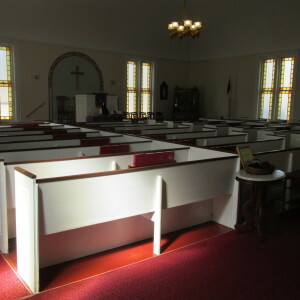 Downstairs the Community Room has folding tables for small meetings.The Church Sanctuary seats 160 for weddings, concerts, etc. Onsite parking is available for 50 cars. In addition, there is ample street parking. 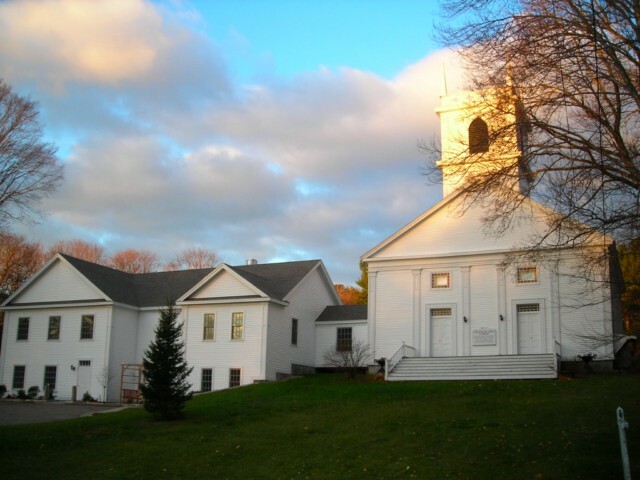 Boy Scout Troop #228 – This troop is sponsored by the Congregational Church of Bristol and meets weekly in the Fellowship Hall from 3:00-5:00 pm on Sundays. We appreciate their assistance from time-to-time during the year – recently they helped with the set up and take down of our annual fair, and also constructed a haunted house for our community Halloween Party. Caring for Kids – They operate the thrift shop in the Parish House to help fund their Snack Pack Program for school children, as well as providing Christmas gifts to local families. Volunteer are always welcome. For more information, please contact Jenny Pendleton at 207-677-2211. Alcoholics Anonymous – This group holds an open meeting in the Fellowship Hall every Wednesday at 7:00 pm. 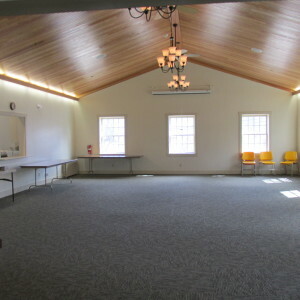 For more information on AA meetings in Maine, please see http://csoaamaine.org. Yoga Classes – These classes are ninety minutes in length and are offered in the Fellowship Hall on Tuesday and Friday mornings at 9:00 am and also Tuesday evenings beginning at 5:30 pm. For more information, please contact the instructor, Carol Krajnik at 207-529-2294. COPD Support Group – They meet the third Thursday or every month from 1:00-2:30 pm in the Community Room. For more information, please contact Elizabeth Gamage at 207-489-9018. For more information about renting the Sanctuary and/or the Russell Parish House, please call our Church Administrator at 207-563-6843.